Organised labour has grounded activities at the Benin Airport as both entry and exit gates were locked, in compliance with the ongoing industrial action. This has left hundreds of intending passengers stranded. Labour had on Wednesday directed all its affiliates to commence an indefinite warning strike on Thursday 0ver the federal government’s refusal to implement the new national minimum wage. The strike caused gridlock within the axis of the Airport Road as motorists had a hectic time trying to negotiate the area. While hundreds of intending passengers loitered around both entry and exit gates, security personnel struggled to control both human and vehicular traffic. 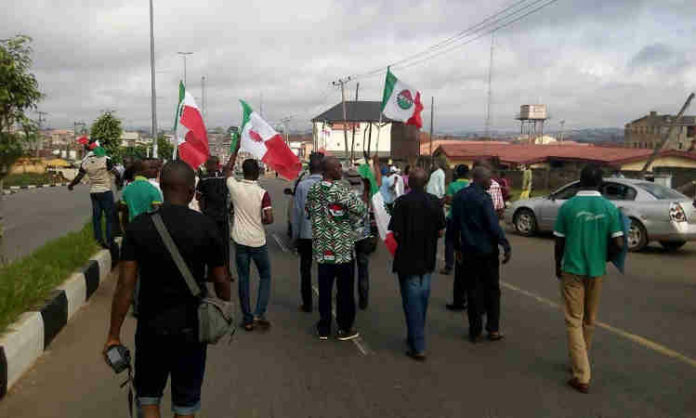 The Edo Chairman of the Nigeria Labour Congress, Emmanuel Ademokun, said he and his team were going round to ensure total compliance with the stay-at-home directive of the NLC. He said: “We want to ensure that workers in the state comply with the directive of the NLC on industrial action. “We are not just sitting, but going around to monitor things ourselves.